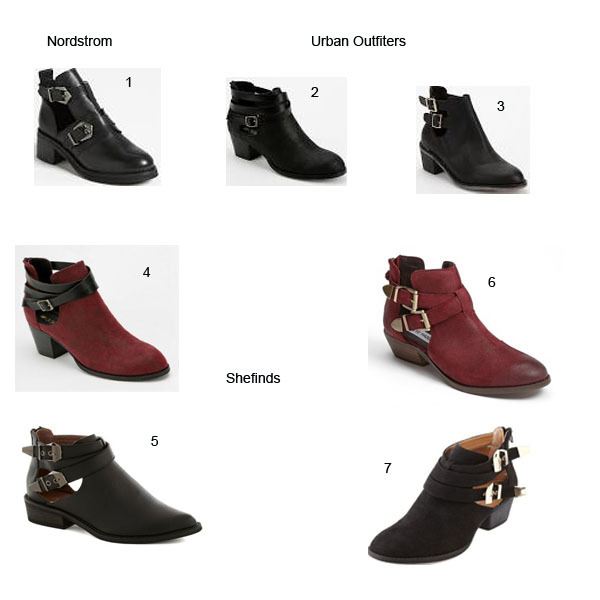 Booties are very popular this fall, especially cut out booties. I like this trend but I’m not sure that I want to purchase a pair. Celebrities have been wearing bulky versions of these booties. 6-Charlotte Russe Sueded Cutout Ankle Boots ($40). 7-Steve Madden ‘Cinch’ Bootie ($129.95).